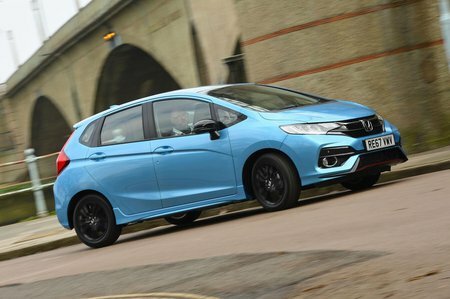 Honda Jazz 1.3 i-VTEC EX 5dr 2019 Review | What Car? What Car? will save you at least £1,045, but our approved dealers could save you even more. This trim comes stacked with equipment, but we’d recommend sticking to SE and saving some cash. EX brings larger 16in alloy wheels, foglights, rear privacy glass, a leather gearlever and steering wheel, a parking camera, climate control and keyless entry and start. The entry-level 1.3 is quicker than the 1.4 that it replaced, but it’s still sluggish. It feels most alive at the top of its rev range, so has to be revved hard to produce decent acceleration. You’ll find yourself continually changing down a gear as a result.